Marseille, France (CNN)Initial tests on the flight data recorder recovered from downed Germanwings Flight 9525 show that co-pilot Andreas Lubitz purposely used the controls to speed up the plane's descent, according to the French air accident investigation agency, the BEA. The flight data recorder, or "black box," was found Thursday by recovery teams that have spent days since the March 24 crash scouring the mountainside in the French Alps where the plane went down. A statement from the BEA on Friday said its teams had immediately begun to investigate its contents. "The initial readout shows that the pilot present in the cockpit used the autopilot to put the (airplane) into a descent towards an altitude of 100 (feet) then, on several occasions during the descent, the pilot modified the autopilot setting to increase the speed of the (airplane) in descent," it said. "Work is continuing to establish the precise history of the flight." Evidence from the plane's cockpit voice recorder, recovered swiftly after the crash, had already led investigators to believe that Lubitz acted deliberately to bring down the plane, killing all 150 people on board. And prosecutors in Germany said Thursday that an analysis of a tablet device retrieved from the 27-year-old's apartment in Dusseldorf revealed that he had researched suicide methods and cockpit door security on the Internet. The correspondence and search history on the device demonstrated that the co-pilot used it from March 16 to March 23, Dusseldorf prosecutor Christoph Kumpa said. The search history was not deleted and also revealed searches concerning medical treatment, the prosecutor said. Investigators have focused on Lubitz's health as they try to establish his motivation. But the missing "black box" was expected to yield important evidence about the plane's final minutes. A female police officer digging by hand for clothes in a ravine that been searched previously found the flight data recorder Thursday afternoon about 8 inches (20 centimeters) below the surface, Marseille prosecutor Brice Robin told reporters. Usually white with florescent orange, this discovered recorder lived up to its name as a black box because fire had darkened it with ashes. In addition, out of more than 2,000 DNA samples collected from the crash site, lab workers have isolated 150 DNA profiles, Robin told reporters. "That does not mean we've identified" the crash's 150 victims, Robin said -- noting the recovered DNA still must be compared with DNA submitted by the families of those who died in the crash. Authorities have also found 470 personal effects at the site, according to Robin. That number includes 40 cell phones, though all those were badly damaged. Robin cast doubt that any useful information could be retrieved from those phones, given their condition. That view is consistent with French officials' claims Wednesday insisting that two publications, German daily Bild and French Paris Match, were wrong to report that cell phone video showed the harrowing final seconds from on board the flight. Noting he's made a criminal request to German authorities but is for now conducting his own investigation, the French prosecutor said he is tasked with an involuntary homicide investigation. But Robin noted that Lubitz made voluntary actions -- such as guiding the plane toward the mountain and reducing its speed to prevent alarms from going off -- and was "alive and conscious" to the very end. A European official government official with detailed knowledge of the investigation said that Lubitz's actions amount to "premeditated murder." While cautioning that there are still many holes in understanding Lubitz's motivation, the disclosures about his Internet searches show that he planned to do what he was going to do, according to this official. It is becoming increasingly clear to investigators that Lubitz was "very afraid" he would lose his license to fly because of his medical issues, a law enforcement source with detailed knowledge of the investigation told CNN on Thursday. It's already emerged that Lubitz had battled depression years before he took the controls of Flight 9525 and that he had concealed from his employer recent medical leave notes saying he was unfit for work. But the law enforcement source said that after a severe depressive episode in 2009, Lubitz relapsed with severe depression and stress in late 2014. In the weeks leading up to the crash, Lubitz was shopping doctors, seeing at least five, perhaps as many as six, the source said, as he kept going from one doctor to the next seeking help, including from a sleep specialist. He was prescribed powerful medication, though it's not clear he was taking it. The second black box recorder from the crash site of the Germanwings jetliner revealed that the person flying the plane at the time of the crash changed the altitude settings for the automatic pilot to 100 feet and then sped up the plane multiple times, investigators said Friday. PARIS-Data freshly drawn from the second black box aboard Germanwings Flight 9525 show the plane was repeatedly accelerated as it descended into a mountainside, French aviation investigators said Friday, bolstering prosecutors' suspicions that co-pilot Andreas Lubitz intentionally crashed the jetliner. French investigation agency BEA said in a statement that the flight data recorder, which was found and recovered on Thursday, revealed that the person flying the plane at the time of the crash changed the altitude settings for the automatic pilot to 100 feet and then sped up the plane multiple times as it headed toward the ground, eventually hitting a slope in the French Alps at 400 miles an hour. The BEA didn't declare that the person responsible for the crash was Mr. Lubitz, though French and German prosecutors have already assigned blame on the 27-year-old who suffered from depression. The flight data recorder can store 25 hours of technical data from a flight and is regarded as the most reliable indicator of any system malfunction. The first black box recovered from the crash site included a voice recording from the cockpit and French prosecutors who heard it said that it suggested Mr. Lubitz locked out his captain and deliberately flew the plane into the mountain. Investigators will likely be searching the flight data recorder for confirmation that Mr. Lubitz actively denied the captain access to the cockpit by flicking a switch to lock him out. The special doors, which were integrated onto planes after the 9/11 attacks to prevent terrorist from gaining control of a commercial airliner, are equipped with technology so that those in the cockpit can shut out anybody trying to enter the flight deck. German prosecutors said on Thursday that Mr. Lubitz researched cockpit security, medical treatments and suicide methods on his tablet computer in days leading to the crash. 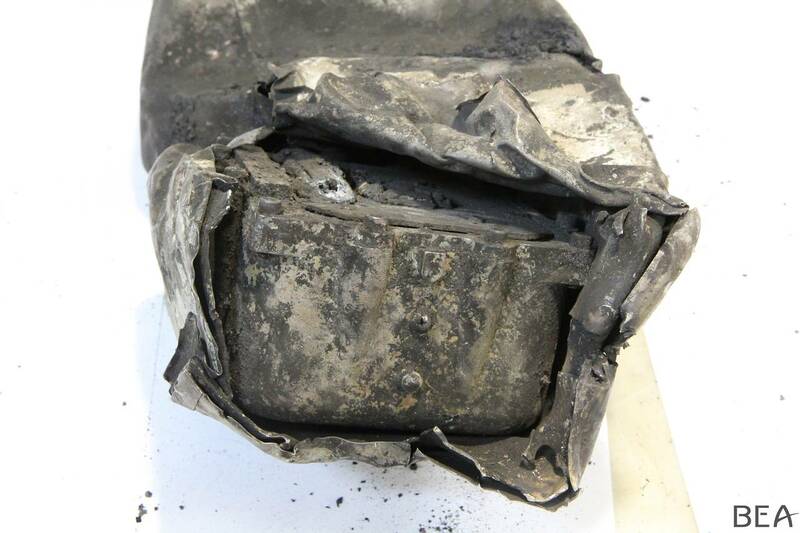 The BEA revealed on Friday three photos of the flight data recorder, which showed a mangled metal case, though the main recorder appeared to be intact. The investigation is ongoing, the BEA added. German police officers carry a computer out of a house believed to belong to the parents of crashed Germanwings flight 4U 9524 co-pilot Andreas Lubitz in Montabaur, on March 26, 2015. (Reuters) - German prosecutors said on Thursday they believed the co-pilot who crashed a Germanwings plane in the French Alps last week had searched on a computer for ways to commit suicide shortly before the crash, which killed 150 people. In a statement, prosecutors in his home town of Dusseldorf, Germany, said the computer, found in his home, also showed searches on cockpit doors and safety precautions related to them. They said Andreas Lubitz had also "looked for information on ways to commit suicide" in computer searches that took place between March 16 and March 23, one day before the crash. "On at least one day, the person had for several minutes undertaken searches related to cockpit doors and their safety precautions," it added. The disclosure feeds into an acceleration of the multiple investigations into the crash of the German airliner as police in the French Alps said they had found the plane's second "black box" cockpit recorder. "The second black box has been recovered. The prosecutor is going to make an announcement", a Gendarmerie officer said. The Marseille, France, prosecutor in charge of the case, Brice Robin, confirmed he was planning a news conference for later on Thursday. Mr. Robin said last Friday that preliminary evidence from the cockpit voice recorder, which was quickly recovered from the scene, suggested 27-year-old Mr. Lubitz crashed the jet on purpose after barricading himself at the controls. The second "black box", or flight data recorder, contains hundreds of parameters taken from the Airbus A320. The first box, which records pilot conversations, cockpit sounds and radio messages, was found hours after the crash. There was no immediate word on the condition of the device, designed to withstand the force of a significant impact. If intact, the data is expected to provide further detailed evidence including any commands from the co-pilot seat. France's BEA air crash investigation authority, which is expected to decode the information as part of a parallel safety investigation, was not immediately available for comment. Investigators are still trying to work out the motive for which Mr. Lubitz would take the controls of the A320, lock the door that was specially reinforced after 9/11 and apparently deliberately steer the aircraft into a mountainside. German daily Bild reported on Thursday that Mr. Lubitz had allegedly lied to doctors, telling them he was on sick leave rather than flying commercial planes. Germanwings parent Lufthansa has come under pressure to explain what it knew about his condition. It said this week that when Mr. Lubitz resumed pilot training in 2009 he provided the flight school with medical documents showing he had gone through a "previous episode of severe depression." 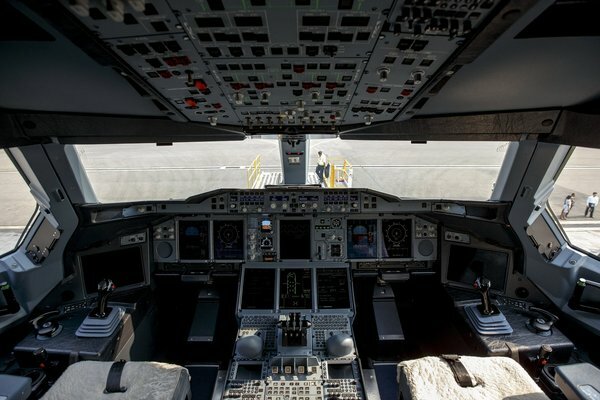 The crash of a Germanwings plane last week and the news that its co-pilot had been treated for depression and suicidal tendencies raise questions about how to keep pilots with mental health problems from possibly putting passengers at risk. One step is broadly adopting recommendations an aerospace medical group made in 2012, after a JetBlue pilot suffered an apparent mental breakdown during a flight. The Aerospace Medical Association released a report recommending that depression and substance abuse screening be added to health examinations for pilots. The report also said that employee assistance programs in which pilots could discuss mental health issues without fear of reprisal made them more likely to come forward. Pilot health screenings in the United States and in Europe still typically focus on physical ailments, according to a report in The Times. Pilots are expected to tell their employers if they think they have a health problem that could hamper their ability to fly. But those suffering from mental illness are often reluctant to talk about their conditions because they worry about being fired. For a different model, airlines might look to the medical profession. Physician health programs, which exist in 47 states, perform assessments and offer screening for doctors dealing with conditions like mental illness and addiction. Doctors can contact these programs themselves, but colleagues may also refer a doctor if they are concerned about his or her performance. The programs assess whether a doctor's condition poses an on-the-job threat and what treatment, if any, is needed. Some doctors are monitored for months or even years after their initial referral. Some are judged unfit to continue practicing. But making clear that treatment options are available, and that entering treatment need not necessarily end a career, encourages doctors to get help before their illnesses become so severe they can no longer work. The Allied Pilots Association, the pilots' union for American Airlines, instituted a program in 2011 that allows pilots to seek help. At a 2014 conference, the president of the Aerospace Medical Association noted that this program had led to a significant increase in the number of pilots reporting their mental health issues and receiving assistance. A systematic process within the whole airline industry to provide mental health assessments and help pilots get treatment is not too much to ask. FRANK EGAN, a 36-year-old Bronx man, "vehemently" denied charges that he pointed a high-powered laser at an plane near LaGuardia airport in New York last month. Since such an action endangers the aircraft and all of its passengers-and can land a person in prison for five years-it seemed natural that someone accused of the crime would deny it. But he might be telling the truth; a few days after Mr Egan was arrested, his "future brother-in-law", Elehecer Balaguer, claimed in a Bronx courtroom that he was responsible for pointing the laser at the plane. Both must return to court later this month so that prosecutors can sort the whole thing out. But Mr Balaguer's lawyer told the court that his client was a mentally ill drug addict who "wasn't being venal-just stupid". 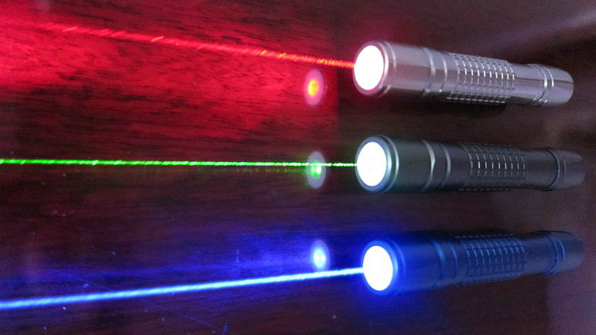 As Gulliver has written before, high-powered laser pointers have legitimate uses-especially for amateur astronomers and stargazers. Unfortunately, the foolish acts of a few mean that there is a risk of these devices being banned for everyone else. Lawmakers should think before overreacting to these sorts of incidents; there are no documented cases of laser strikes causing an actual accident. But clearly they need to taken seriously and investigated. A ban would be unfortunate. Perhaps the best we can hope for is more cases like Mr Egan's and Mr Balaguer's-in which law enforcement officials make a concerted effort to find out who is responsible for laser strikes, and make sure the public knows that such crimes will be punished. But ideally, aircraft manufacturers and airport operators would come up with new procedures or new technology that can reduce the risk of a truly tragic laser strike. Passengers aboard two jets arriving at Seattle-Tacoma International Airport on Wednesday evening received an unusual and somewhat frightening welcome when both aircraft were struck by lightning in a scene that was caught on video. While it may look a little scary, experts say the planes were perfectly safe. The footage, above, was captured by University of Washington graphic design student Owen Craft, who was outside trying to film lightning strikes. "I was stunned for a second because I couldn't believe what I just saw," Craft told KOMO News. "After the second (plane) got hit, I knew I was on to something spectacular!" A passenger on one of the jets said she saw a bright flash out her window on the right side of the aircraft. "I think it hit the wing because there was an immediate loud crack and the cabin was bright for that brief second," Kim Dodge told the station. "There was this loud gasp in the cabin after it happened. The people behind me were starting to worry if it was going to affect the landing. It didn't." 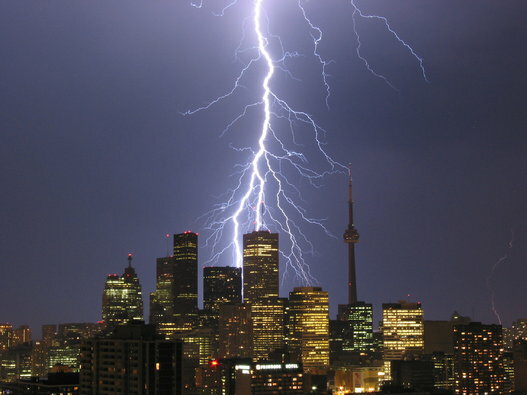 Jets are struck by lightning somewhat regularly and are built to withstand it. "Airplanes themselves are prepared for this kind of stuff and have the mechanics to manage lightning strikes," Sea-Tac spokesman Perry Cooper told ABC News. "We did not receive any reports of precautionary landing alerts from any pilots Wednesday night either." The Washington Post has more on what happens when lightning strikes airplanes. "My name is Stella Anyanwu and I am a graduate student at Tulane University in Houston. For my Entrepreneurship class, my team is working on a project which provides a system for assisting in the location of aircraft lost in remote locations or at sea. Thank you for taking the time to assist me in my educational endeavors." The closing date for the first two is 16th April and the last one is 19th April. In 1915 the first UK 'Inspector of Accidents', Captain G B Cockburn, was appointed to investigate the underlying causes of aircraft accidents in the Royal Flying Corps. George Cockburn had learned to fly as a civilian, had competed in the Grande Semaine at Rheims in 1909 and was a founder member of the Royal Aero Club's 'Accidents Investigation Committee' in 1912. His appointment, as a professional air safety investigator, led directly to the formation after the war of the Accidents Investigation Branch as a civilian government organisation - now the Air Accidents Investigation Branch (AAIB), part of the UK Department for Transport, and based at Farnborough, Hampshire. To celebrate the centenary of the appointment of the UK's first professional air safety investigator, the AAIB is planning a one-day conference on 14 October 2015, entitled '100 Years of Accident Investigation - What's Next? '.The conference will be hosted and administered by the Royal Aeronautical Society (RAeS) at 4 Hamilton Place, London. Registration will open soon, via the RAeS website, but in the meantime please save the date! Curt Lewis & Associates, LLC is an international, multi-discipline technical and scientific consulting firm specializing in aviation and industrial safety. Our specialties are aviation litigation support, aviation/airport safety programs, accident investigation and reconstruction, safety & quality assessments/audits, system safety (PRA), human factors, Safety Management Systems (SMS) assessment/implementation & training, safety/quality training & risk management, aviation manual development, IS-BAO Auditing, airfield/heliport lighting products, patent infringement/invalidity expert testimony and Technical Support.